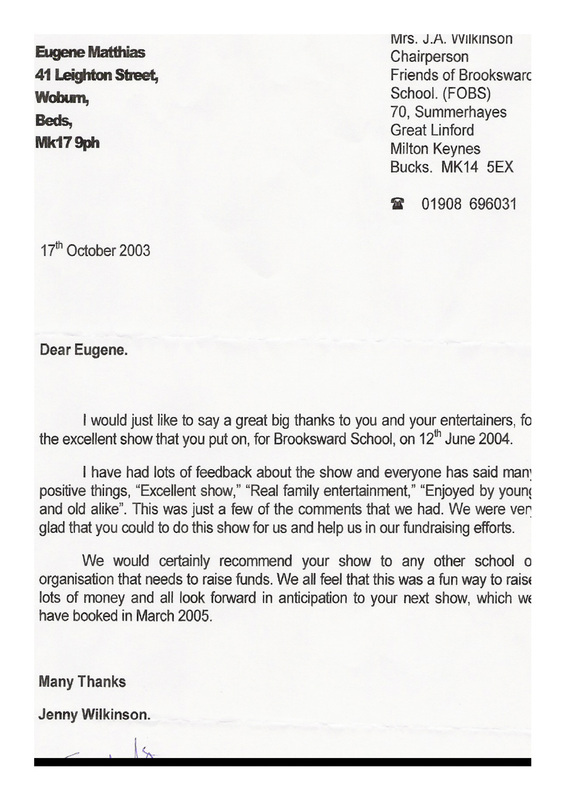 Every year the Magic Club of Great sponsors a series of the 'Magic Live' theatre show as a fundraising event for schools and charity. 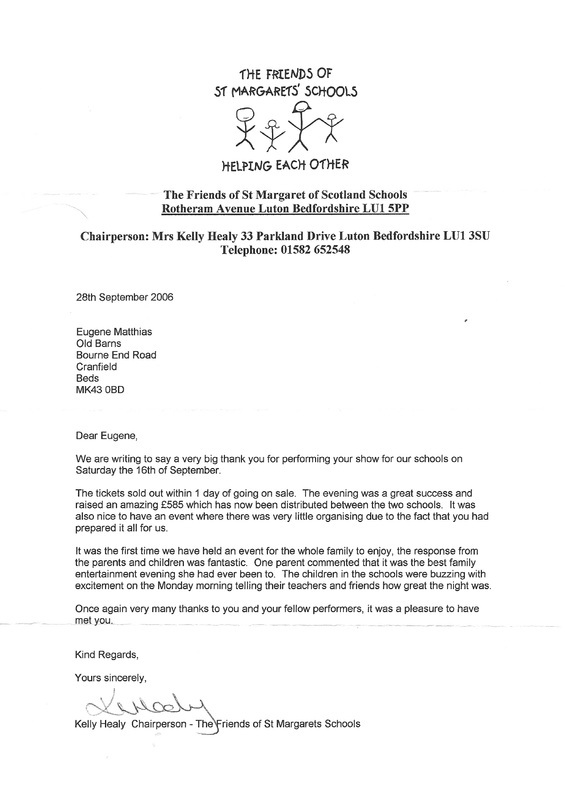 To date this community programme has raised over £250,000. 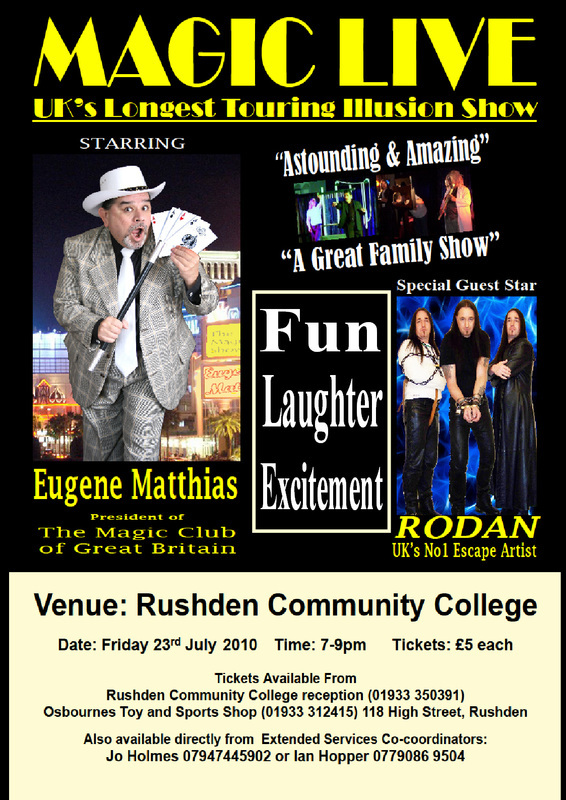 Fundraising show for Rushden Community College which raised over £2,000. 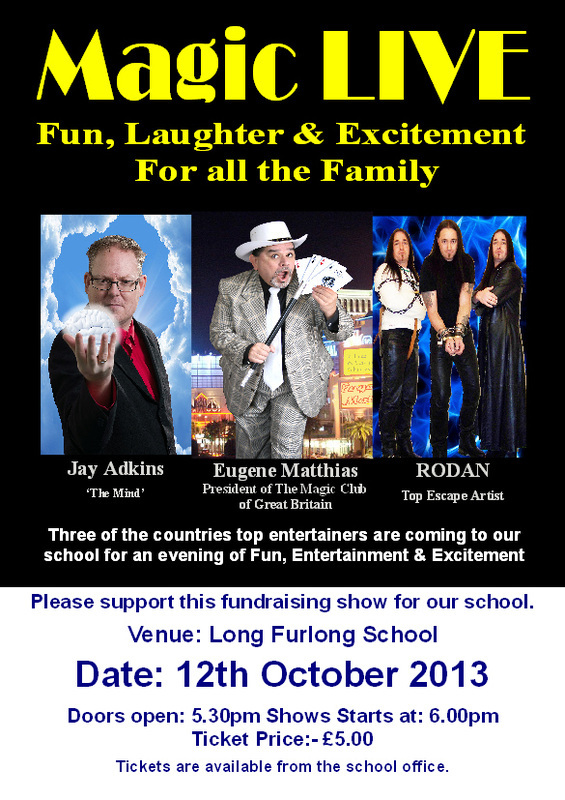 Fundraising show for Long Furlong Primary school. Fun, Laughter & Excitement for all the family. 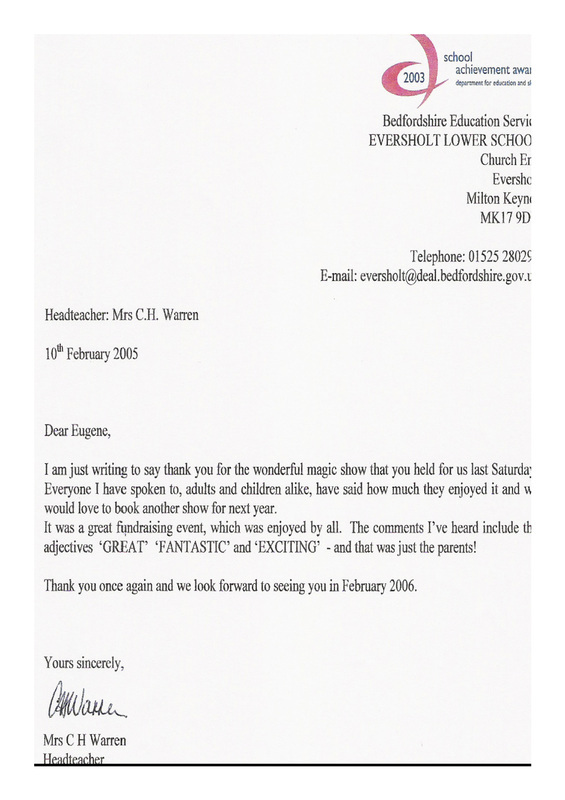 Our 'Magic LIVE' shows are very popular and full of fun and laughter not only for the children but also the adults. They have been used by schools and PTA's as rewards for good behaviour or attendance, school celebrations and at Christmas as a change from a pantomime. 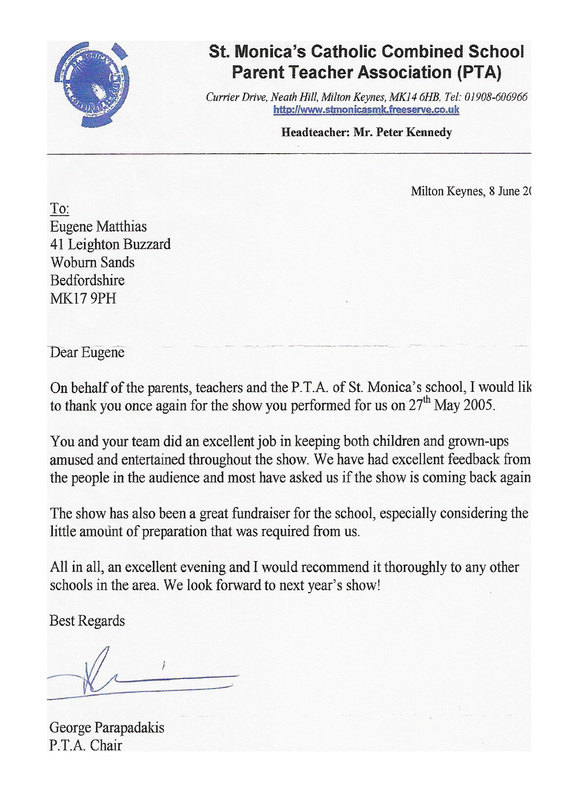 Many PTA's have had them as part of their fund raising programme. Shows are available from one person to four performer shows. 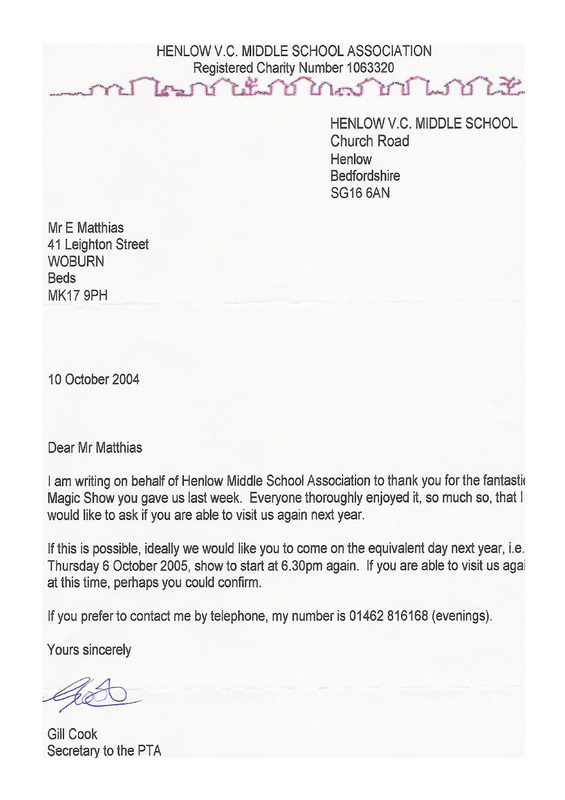 I just wanted to say a huge thank you for the two magic shows our school held last week. It was very easy to organise with lots of helpful advice from you and the posters, ie advising on show times and how to raise more money for our school by selling refreshments and holding a raffle. The actual shows themselves were absolutely amazing, lots of fun, audience participation which everyone enjoyed, plus a great escaping act by Rodan. Everyone left the shows with a smile on their face and I have had so much positive feedback this week from children and parents alike. Apparently the show was 'awesome' which I think sums it up. Thank you so much for the shows again and we look forward to hopefully hosting more shows in the future. Subject: Thank you for entertaining us so well. Having returned from holiday, I would like to thank you so much for the amazing show you put on for us. I have had so many excellent comments about how very funny you were and the magic of course was seamless. I'm sure you got a feel for that anyway by the amount of laughing from the audience. Personally, I still can't get the image of the folded banana out of my mind. Brilliant! I look forward to future opportunities of seeing you perform.